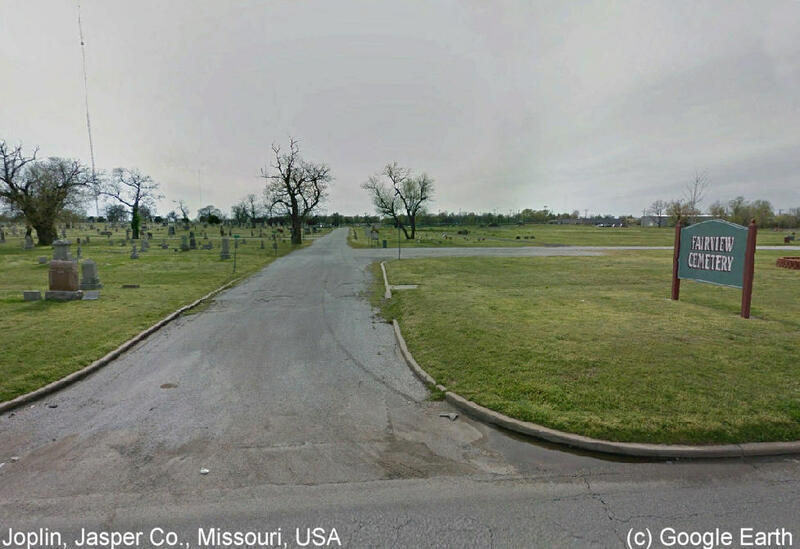 Fairview Cemetery is a very large cemetery located at Tenth and Maiden Lane Ave. at Joplin, Mo. It is one of Joplin's first cemeteries and has lots of the big old marble tombstones. The cemetery is well kept and is still used. Fairview Cemetery is one of two cemeteries having that name that are in Jasper County, the other being a small cemetery near Alba, Mo.